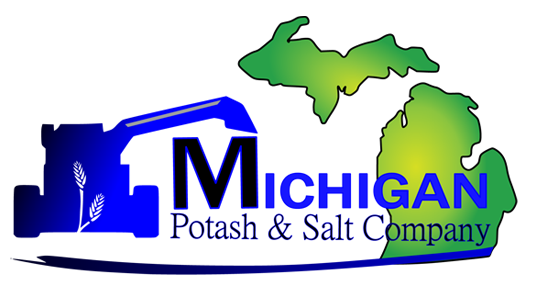 The team of professionals at Michigan Potash & Salt Company has 280 years of combined experience in the industry. 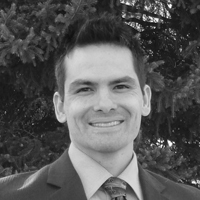 Mr. Pagano is a potash geologist and certified professional engineer with extensive experience in investment decision analysis as it concerns natural resource exploration and development. He has comprehensive knowledge of potash exploration and solution mining production methods. 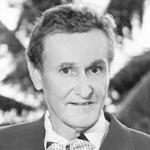 Prior to founding Michigan Potash & Salt Company, LLC, Mr. Pagano was the co‐founder of Dakota Salts, LLC, a potash exploration endeavor based in North Dakota; whereby, Pagano established the State’s first public potash lease, auction, core test, tax basis, and legislative requirements for potash exploration and production. Mr. Pagano’s relevant experience includes over 17 years of natural resource development with positions of significant responsibility at Texaco, Chevron, Kerr‐ McGee, and Anadarko Petroleum. He has been responsible for natural resource development in Michigan, Alaska, Texas, New Mexico, Utah, Colorado, Wyoming, North Dakota, South Dakota, and Oklahoma. He is well published in his art. Ted is Native American, of Aleut descent. His great grandfather was Chief of the island of Attu. He is an Indian Fellow, haven obtained his undergraduate degree on a full Merit scholarship to study natural resources. Ted is a graduate of the 4 year Catholic Biblical School and 2 year Catechetical School. B.S. Geological Sciences from the University of Notre Dame. M.S. Petroleum Engineering Colorado School of Mines. 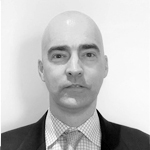 Mr. Latimer is a career investment banker, having spent 20 years within the investment grade, leveraged finance, stressed, distressed and structured credit markets. Mr. Latimer’s relevant experience includes leadership positions at Highland Capital Management and UBS Securities, LLC. B.A. Finance, School of Business from the University of Notre Dame, 1993. Mr. St. Germaine is a subsurface and manufacturing potash and salt expert, with comprehensive technical knowledge as it concerns subsurface Michigan potash solution mining, and surface evaporation, crystallization, and co-generation. He has over 28 years in subsurface and surface potash operations. Up until 2011, he was the Mosaic Hersey Production Manger, where he held that position for six years. Prior, he was the Mosaic Hersey Capital Investment Manager. 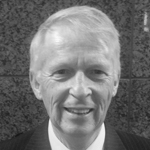 Mr. Millward has over 43 years in potash solution mining and manufacturing operations. He has served his entire career with Mosaic and its predecessors and has experience in all respects of solution mining and processing of potash and salt, both in Saskatchewan and Michigan. He served a significant tenor at the Mosaic Belle Plaine potash facility, until his transfer to the Mosaic Hersey Potash Facility, where he lastly served as the Mosaic Hersey Production Manager for Salt manufacturing, processing, and sales. Saskatchewan Institute of Applied Arts and Sciences, 1969. Mr. Forquer is a second generation fertilizer sales and distribution expert. He has over 35 years in potash and fertilizer marketing in the Mid‐west. Beginning in 1984 and until 2006, he was responsible for marketing, selling and distributing potash into every state east of the Mississippi River on behalf of the Michigan Hersey Potash facility for its owners, Mosaic, IMC Global, and Kalium. As Regional Sales Manager for Mosaic, he had successfully grown the Michigan market from 6,000 tons/year to 400,000 tons/year, even when the Hersey potash facility was only capable of 160,000 tons/year. 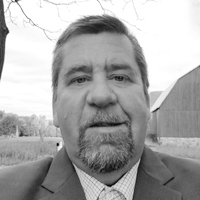 He has additional regional sales and distribution experience as an independent, and for Oxbow Fertilizer, Gavillon Fertilizer, Willber‐Ellis, Agra Land, Mobark, and USS Agri‐ Chemicals. B.S. Business Administration, Central Michigan University, 1978. Mr. Fauster is a salt distribution and marketing expert with a financial background in food and commodities. 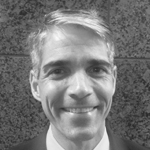 He has over 18 years in salt logistics, sales, finance, and business development. He has purchased salt from the Mosaic Hersey Facility for numerous years and comprehensively understands the demand and supply characteristics of the greater salt markets, in water softening, food, ice melt, agricultural, industrial, and brine. He is the CEO of a current salt player with far reaching influence throughout the Midwest, great lakes, east and south‐east markets. B.A. Hillsdale College,1993. Mr. Janotta is a expert in solution mining crystallization, product drying, process troubleshooting, pond management, screening, chemical engineering, evaporation, compacting technologies, commissioning and operational readiness, potash sales and marketing, and change management. He was responsible for all commissioning and trouble shooting at the Mosaic Company, and commissioned Hersey in 1997. Mr. Janotta was also responsible for all industrial product specification and product management for the major industrial clients of potash worldwide. Mr. Nielsen is an evaporation and crystallization expert with an emphasis on the extractive industries, including potash and salt. Mr. Nielsen has designed and erected and commissioned all types of evaporator and crystaillzer systems, having been the Crystallizer Department Manager and Director of Technology at Swenson Technologies for over 20 Years. Mr. Nielsen has been in virtually every evaporation and crystallization facility worldwide and is one of the foremost experts for complex design, trouble shooting, and commissioning of advanced facilities. 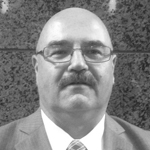 He has over 38 years in process engineering design and operations. B.S. Chemical Engineering. B.S. Computer Science, Minor in Chemistry, Iowa State University 1977. Dr. Wright is an electrical power plant and steam generation expert with over 20 years in power generation system design. He is an expert in thermodynamics, energy conversion and energy storage optimization. 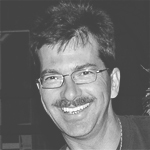 He has been a part of numerous power plant designs, and is experienced in project management. From 2008 to 2015 he served as a Senior Technical Leader and Advisor to the Electrical Power Research Institute (EPRI). He is the founder and principle of Wright Energy and Engineering. 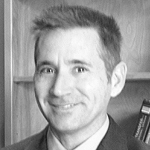 He served as an Associate Professor at the University of Colorado, and is highly published, and has given countless workshops to industry and peers. His degrees include a Bachelors of Mechanical Engineering, McGill University, 1996, a Masters of Mechanical Engineering, University of Victoria, 1998, and a PhD of Mechanical Engineering, University of Victoria 2000.